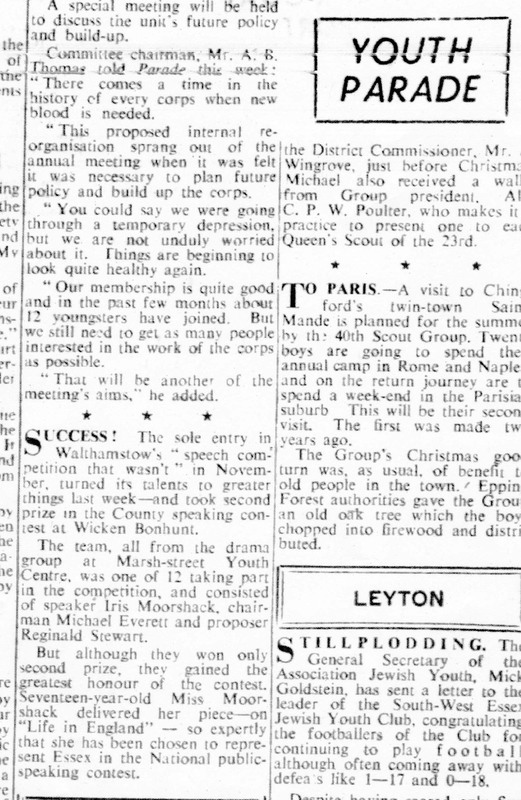 This short, but interesting report in the 1st January edition of the Walthamstow Guardian, fills in yet a bit more history of the Drama Club and its successful involvement beyond the confines school – this time in the Essex County ‘Youth Speaks’ Finals and, indeed, of how Iris Moorshack, one of the original members, went on to represent the County! 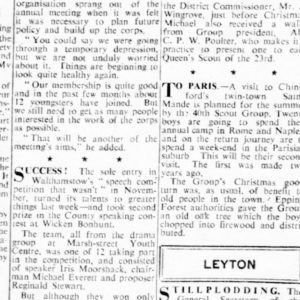 Walthaamstow Guardian Report – 1st January 1960. See typed text below. The sole entry in Walthamstow’s ‘ Speech Competition that wasn’t’ in November, turned its talents to greater things last week – and took second prize in the County Speaking contest at Wicken Bonhunt.